Noah Lyles, the youngest man in 34 years to win the 100m at the USATF Championships, put on an impressive show. With just two meters to go, Lyles was able to surpass Ronnie Baker and finish first with a world-leading time of 9.88. Post race, Lyles danced around in celebration with a joy that was infectious. The women’s 1500m run was thrilling. Two of the favorites, Shelby Houlihan and Jenny Simpson, began the race at the back of the pack. Around the 2:30 mark, Simpson started to make her way to the front only to be jostled back by Brenda Martinez who was not going to give up her position. Then it was Kate Grace who moved around Martinez with Simpson and Houlihan following just as Martinez was clipped from behind and taken out of the race. In the end, Grace kicked too soon and Simpson hung on for second place as Houlihan exploded past her in the final 50m with a winning time of 4:05.48. 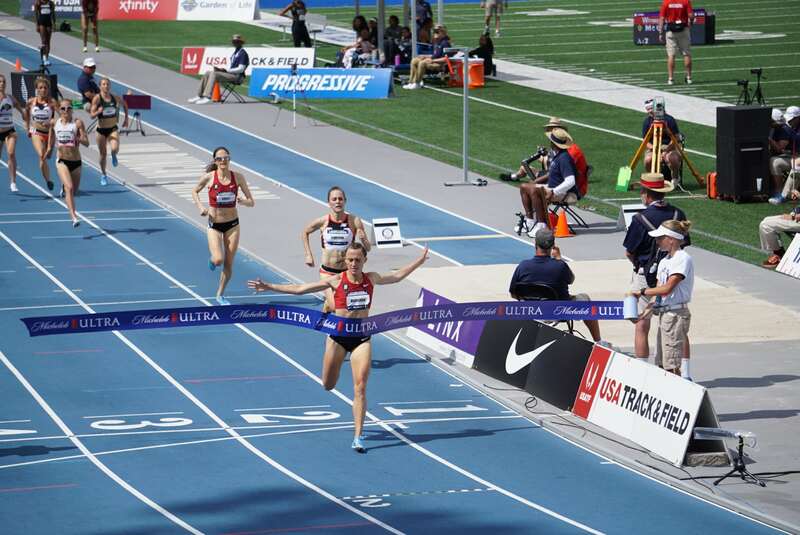 American record-holder and two-time Olympian Molly Huddle won the women’s 10,000m race for the fourth consecutive time, finishing in 31:52.32—more than four seconds ahead of second-place finisher Marielle Hall. It was her 27th national title and came only two months after experiencing hypothermia during her sixteenth-place finish at the Boston Marathon. 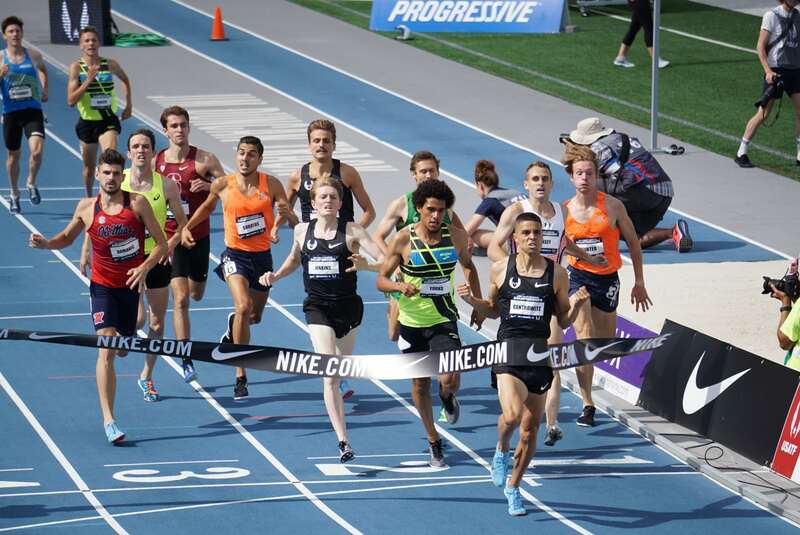 After a sixth-place finish in the Bowerman mile at the Prefontaine Classic, Matthew Centrowitz was able to run a smart 1500m race and finish in 3:43.37 for the win. Centrowitz, who took the gold in the 1500m at the 2016 Summer Olympics, expressed a sense of relief after a challenging past year in which he battled an adductor (thigh muscle) injury and pericarditis (inflammation of the lining surrounding the heart) caused by a viral infection. Those are just some of the highlights, but you can click here to see results from each event. Kudos to all of the hard-working athletes who competed this weekend!